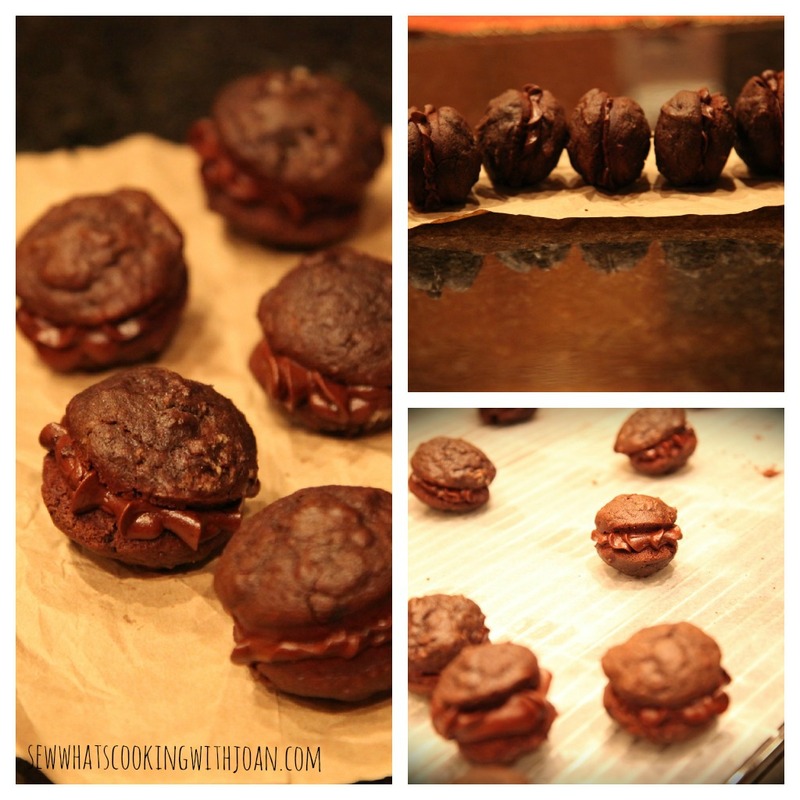 I have been dying to try out my whoopie pie pan and came across a recipe for a chocolate whoopie pie from iVillage. I was originally planning on making something I could use my meyer lemons in, but couldn't resist the temptation to make these little cookies! This was my first time making and tasting a whoopie and I now know that I will be making them often and experimenting with different flavors. It was interesting to discover that whoopie pies originated in the Pennsylvania Amish country. The Amish women would bake these desserts (known as hucklebucks at the time) and put them in the farmer's lunch boxes. 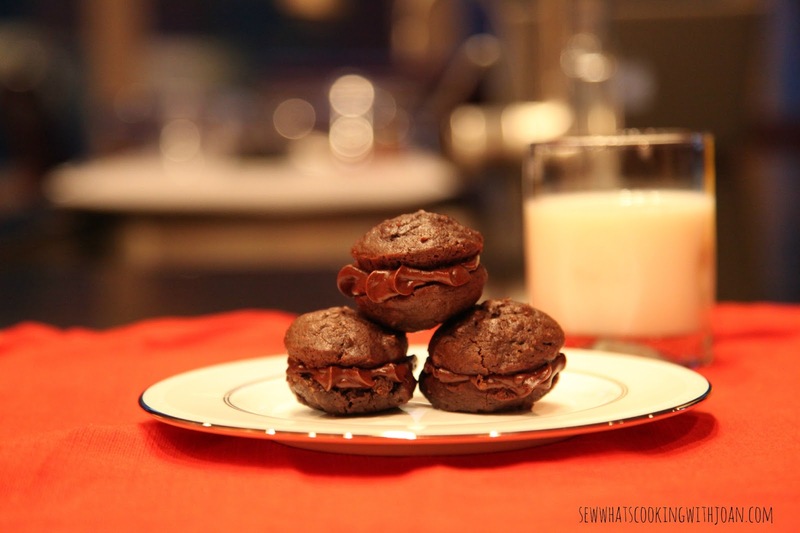 When farmer's would find these treats in their lunch, they would shout "whoopie!". Cute story I thought! The original recipe from iVillage used a Swiss Vanilla Filling, but TT really enjoys chocolate so I opted for a basic chocolate butter-cream frosting. Here is my version of the original recipe. 1. Preheat oven to 350F. Line two baking sheets with parchment paper or use a whoopie pie pan with cooking spray. 2. In a large bowl, whisk together the flour, salt, baking powder, baking soda and set aside. 3. In another large bowl, whisk together the cocoa powder and espresso powder. Add the hot coffee and 1/2 cup hot water and whisk until both powders are completely dissolved. 4. In a medium bowl, stir the brown sugar and oil together. Add this to the cocoa mixture and whisk until combined. Add the egg, vanilla and buttermilk and whisk until smooth. 5. Use a rubber spatula to gently fold the dry ingredients into the wet ingredients. Make sure to scrap down the sides and bottom of the bowl as you fold. 6. Use a small ice cream scoop with a release mechanism to drop heaping tablespoons of the dough onto the prepared baking sheets about 1-inch apart. If you are using a whoopie pie pan, use about a teaspoon of batter as the slots are fairly small and you don't want them too large. Bake for 10 to 15 minutes, until the cookies are just starting to crack on top and a toothpick inserted into the center comes out clean. Let the cookies cool completely in/on the pan while you make the buttercream. 1. In a bowl of a stand mixer fitted with the paddle attachment, sift together the confectioners sugar and cocoa powder. Add the butter and beat on low until the mixture is crumbly. Add the heavy cream, vanilla extract and salt and mix on high speed until the buttercream is smooth and fluffy, about 3-4 minutes. I can't wait to get back into the kitchen and make another flavor of these little whoopie pies! In the meantime, Spring is just around the corner and I am excited to make baked goodies that have a Spring "feel". I have those Meyer lemons sitting around so I think the first thing to be baked will have to be something I can use those lemons in -stay tuned!! 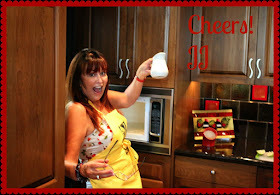 Check back in on Monday as JJ will surely have something savory and delicious looking to share with us! Awesome! 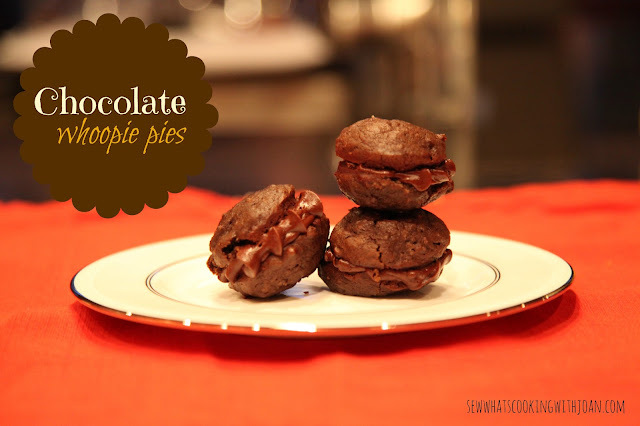 The little pies look so yummy! Love the photography! Great blog!